The whole world celebrated when the Nobel Prize committee declared last week that they were going to award the prestigious prize in literature to songwriter Bob Dylan for “having created new poetic expressions within the great American song tradition”. 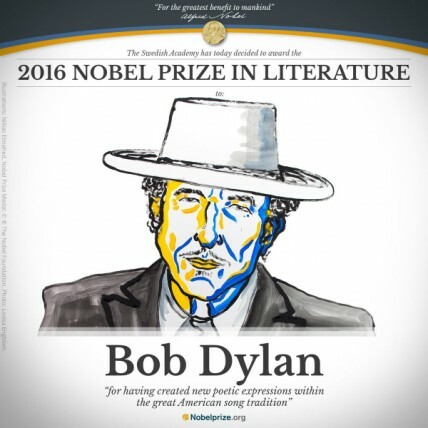 It was announced that Dylan was the winner this year for the Nobel Prize in Literature on October 13. The same day, Dylan performed in Las Vegas but stayed mum over his win. The next day, he performed in Coachella but did not say a word again about the Nobel. As the singer-musician has remained silent on this historic honor so far, it looks like he will not be present to receive the honor at the award ceremony which will take place in Sweden in December. Only Dylan knows what he is actually thinking about winning this huge honor!